The Ontario ALUS Alliance was launched in Guelph on Friday, March 27. A room full of farmers, local food advocates, environmentalists and interested community members proved that many people see the benefits of rewarding farmers for the ecological goods and services they provide to our society. Images of salamanders, Oak Savannah, native grasses, restored wetlands, Texas Longhorn Cattle and working farms provided beautiful visuals of how the farm community is building upon its deep-rooted stewardship ethic. $3,487. That is the estimated value PER HECTARE per year of ecological services provided by Ontario’s natural capital: wildlife habitat, water filtration zones, carbon sinks, woodlands, grasslands and wetlands. 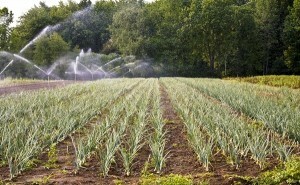 Much of this natural capital is found on Ontario farms. ALUS represents a way to engage farmers and provide incentive payments for the valuable ecological goods and services they provide.